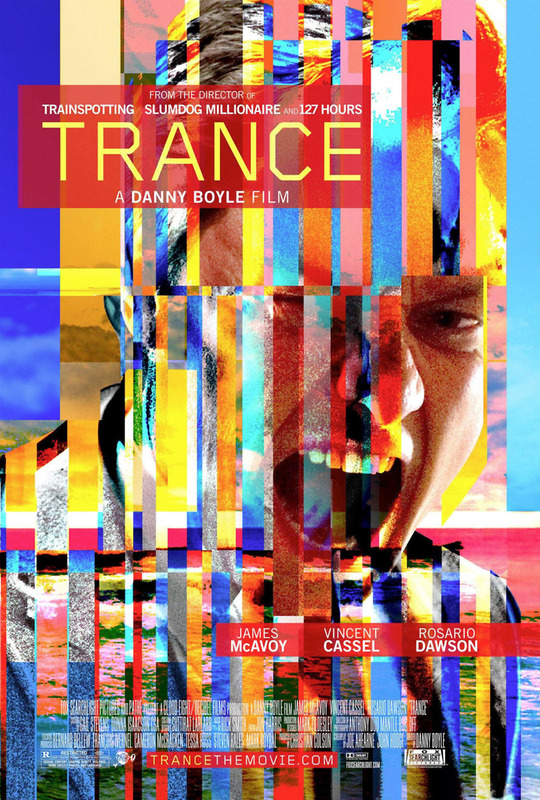 Trance DVD and Blu-ray release date was set for July 23, 2013. When art auctioneer, Simon, is caught by his colleague, Franck, in the midst of stealing a valuable painting from his auction house, he suffers a severe blow to the head. Simon develops amnesia as a result. Franck discovers the painting has been hidden somewhere by Simon, who cannot remember where it is, even under torture. Franck forces Simon to select a hypnotist to unlock his memory. He chooses Elizabeth Lamb. Elizabeth conspires with Franck to seduce Simon into telling her where he hid the painting. She puts him under hypnosis. Simon is now compelled to follow through with Elizabeth's deadly intentions to get rid of Franck and keep the painting. Simon finds out he and Elizabeth have a past history, which has led him back to her.